Friendly Service is Super Important! 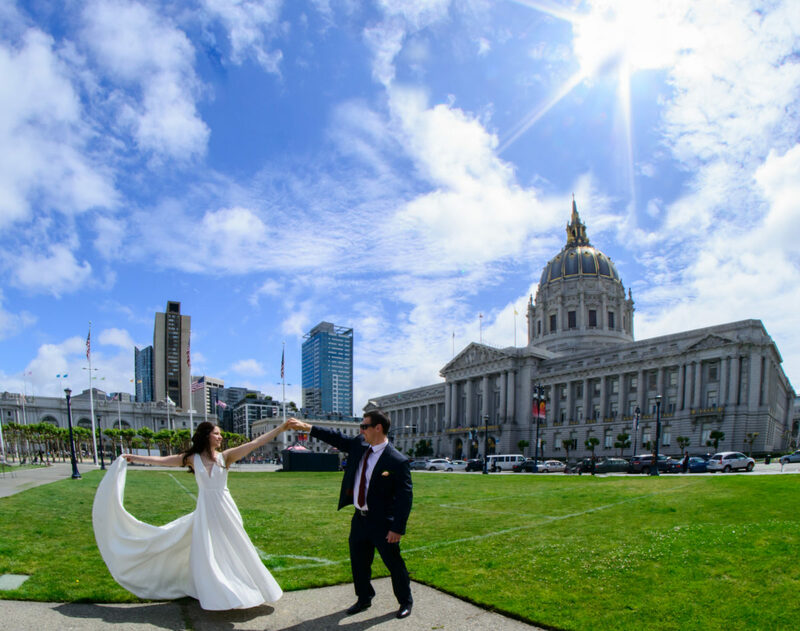 As I have discussions with the best SF city hall wedding photographers I find one common denominator among them…. They are all nice people! Fun to be around and upbeat. Reading their Yelp reviews reveals that many of their clients take the time to talk about their demeanor and friendliness and not just the quality of the wedding photography. Another often discussed aspect of this attribute is that it actually results in better pictures. I believe the reason for this is that the bride and groom feel more at ease with the photographer and thus display their more natural side. Expensive Equipment Barely Matters. I have seen wedding photographers at SF city hall use all types of camera equipment. They range from super expensive all the way down to cheaper consumer level cameras. I honestly see no correlation between the amount of money a photographer spends on their camera and the quality of the pictures. However, it IS important to have proper lighting equipment including an off-camera flash. But even this does not have to be expensive to get the job done. The bottom line is that with today’s technology even the most basic cameras take amazing photos. 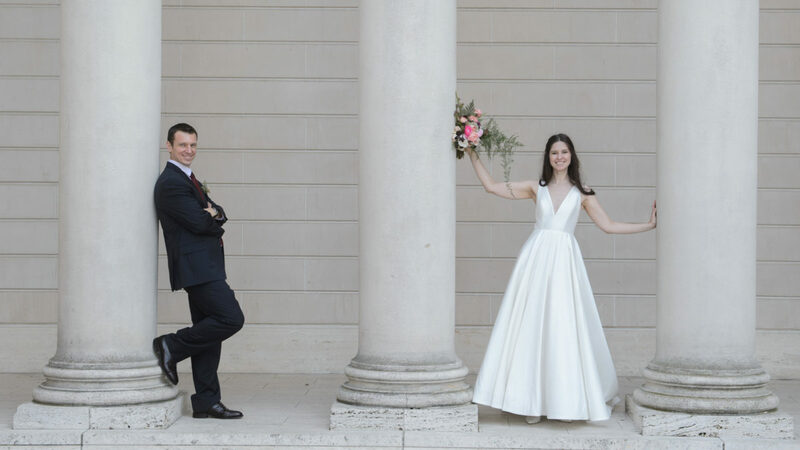 The different in quality of the end product has much more to do with the wedding photographer. We recently added some better off camera lighting and it has improved some of our photography in the darker areas of city hall like the Mayor’s Balcony. This new lighting system also recycles faster giving us the ability to shoot faster. City Hall Experience is huge! 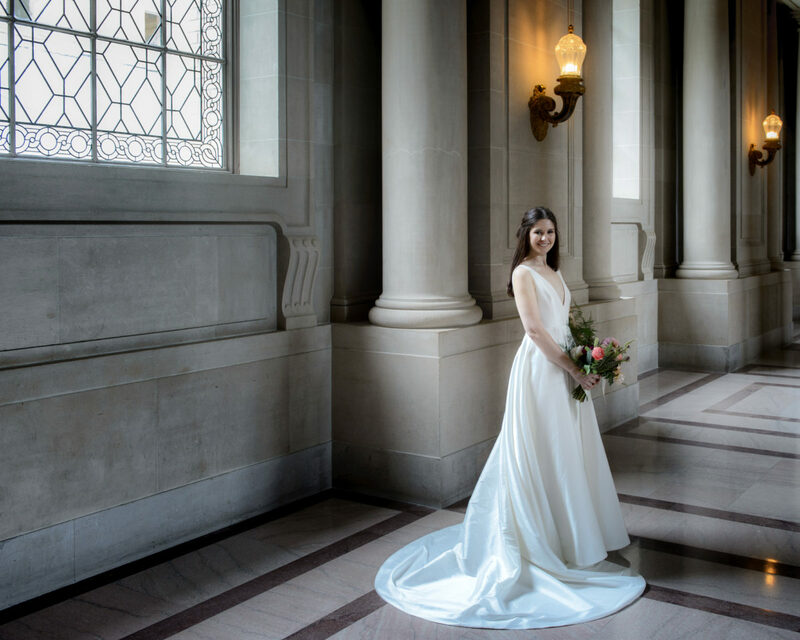 There is no doubt in my mind that the best wedding photographers at San Francisco City Hall are mainly the most experienced. The lighting in the building is super tricky and can changes in a matter of minutes as the fog rolls in and out. More important are the curves that city hall will often throw Brides and Grooms. Special Events, closing down of certain areas, protest marches and unexpected arrivals of a huge tour bus are just some of the things we all have to deal with at city hall on a daily basis. The more experienced professional wedding photographer know how to make adjustments on the fly no matter what the current circumstances are. You have to know alternative beautiful spots and the best ways to get around area closures. We have learned these things over the years and are still learning new tricks to this day! 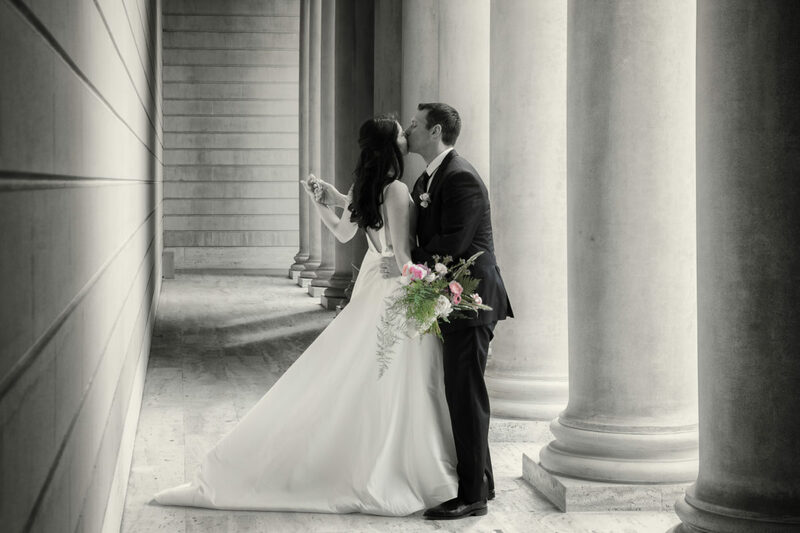 The Best City Hall Wedding Photographers help their clients with every aspect of the event! 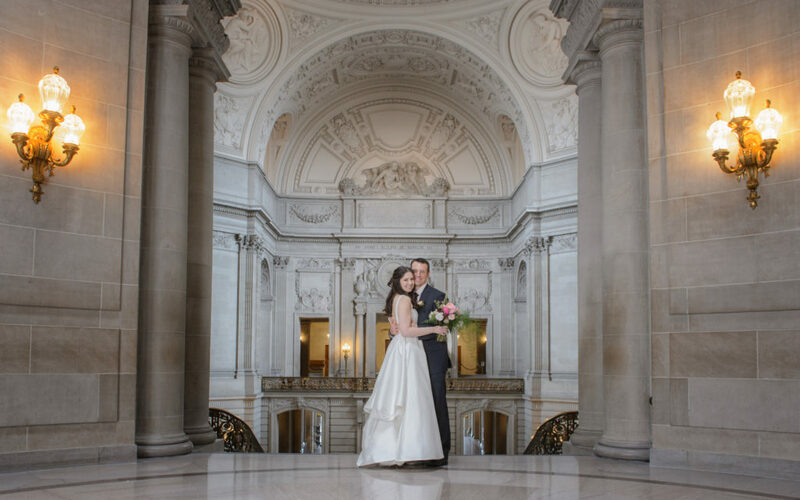 We take a lot of pride in helping our brides and grooms deal with the somewhat confusing process of getting married at San Francisco City Hall. We offer many pointers on our website and try to act as a guide when it comes to check-in time at the County Clerks office. We see this with many of the other experienced professional wedding photographers at city hall also! We just received a Yelp Review from a great client who complimented us on helping the groom with shortening his pants (with tape). I also held the mirror so the bride could put on her eyelashes. These little things make a difference on how you become the best wedding photographer possible. Here are some thoughts from other experts on this subject. What makes wedding photographers the best? 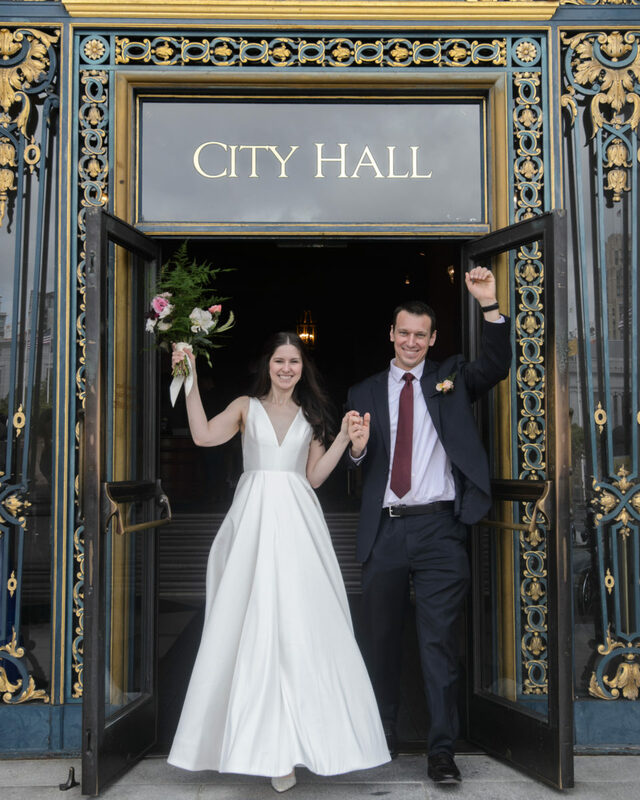 Previous Previous post: Simple Way to Find the Right City Hall Wedding Photographer For YOU!